Florida Attorney General Pam Bondi, after her victory speech in Tampa. 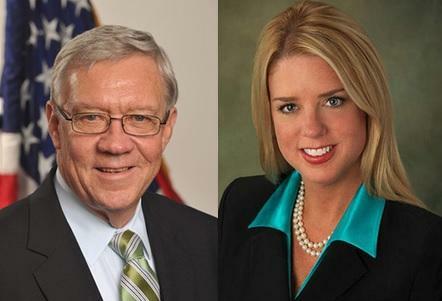 The Republican incumbent won a second term as the state's top lawyer. 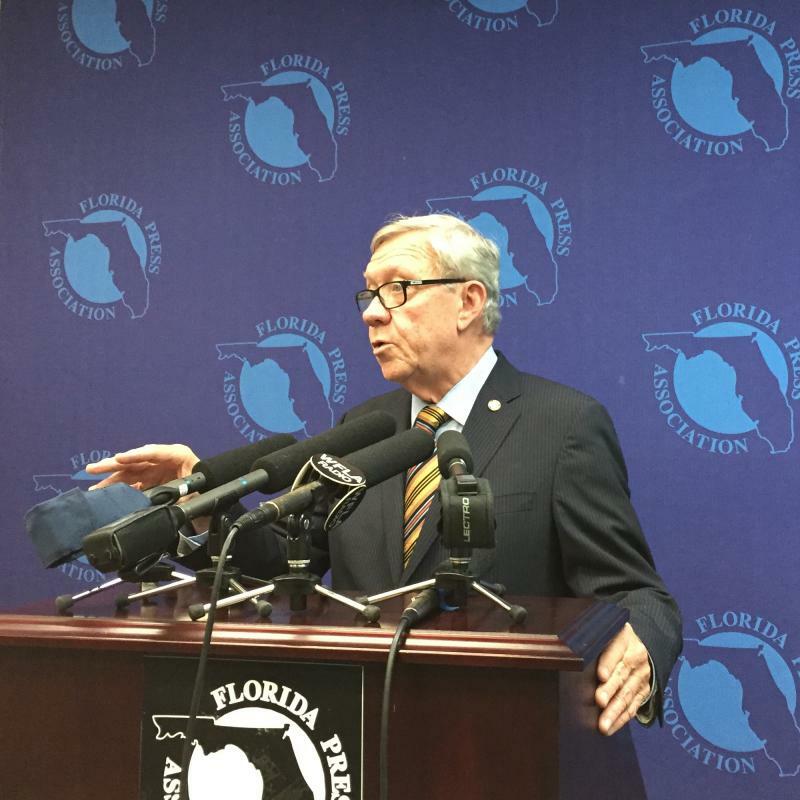 Florida Attorney General Democrat challenger George Sheldon speaking to reporters, following the news he'd conceded defeat to Pam Bondi. Earlier in the day, Sheldon remained optimistic about his chances of winning, even joking with Tallahassee reporters about them potentially writing about an upset victory. “Well, hopefully, I’ll give you something to report tonight,” said Sheldon, at the time. But, about two hours after the polls officially closed, Sheldon announced to his supporters he’d conceded defeat to the Republican incumbent, adding he looks forward to working with her in the future. Libertarian candidate and Tallahassee attorney Bill Wohlsifer remained upbeat, after getting three percent of the vote in the Florida Attorney General's race. Libertarian Bill Wohlsifer, who took three-percent of the vote. But, he remained upbeat. 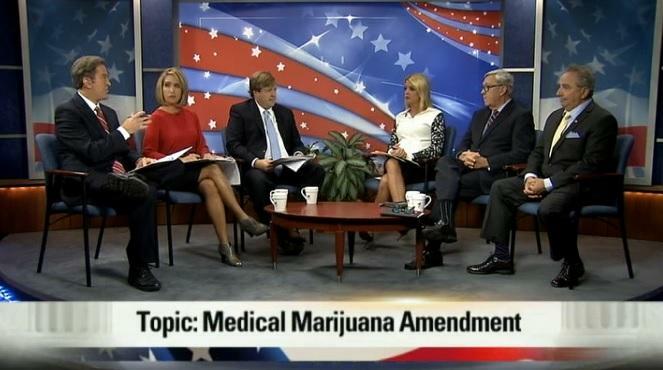 Throughout his campaign, Wohlsifer spoke mainly of the medical marijuana issue and his ongoing efforts to legalize marijuana. Meanwhile, Bondi made human trafficking and her efforts to combat prescription drug abuse main focuses of her campaign. And, trying to draw contrasts between himself and Bondi, Sheldon talked a lot about health care and ending Florida’s gay marriage ban.